a sheet of newspaper and spray it with frosting spray. it doesn't heat up the glass. 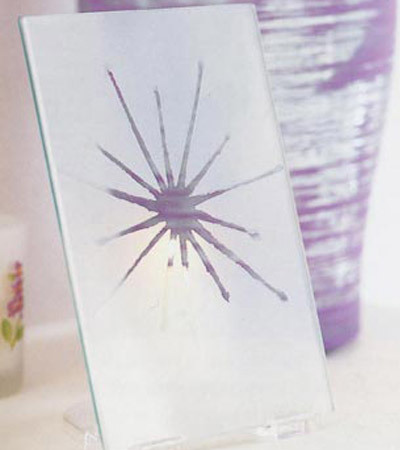 frame, newspaper, glass frosting spray, picture stand and a tealight.